Final Freeway 2R is out! 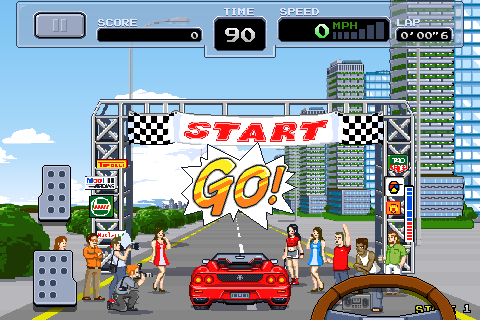 Our latest and hottest racing game, Final Freeway 2R is now available on the App Store ! I’m very proud of this title. The first Final Freeway was a bet. It was my goodbye to an employee’s way of life and the beginning of and independent game studio. Final Freeway was mostly just me but with the support of some friends happy to give their spare time for free. For free, but for a cause: participating in the development of a game driven by passion. For me it was also as a form of rebellion towards a system that pays you do deliver and sometimes pays you not to deliver, when business reasons may dictate that a project must be scrapped. And how many times has that happened.. But that’s the past. The present is that I won that first bet and I found more people willing to join me to develop more games independently. In fact, this title wouldn’t have been the same without the art of Giuseppe Longo (aka MisBug) and the music by Simone Cicconi (UNDAtheC). It was also instrumental to connect with investors through appbackr. appbackr enabled us to receive some vital funds and also enabled some of our friends to fund us in a simplified manner. In any case, I hope that you’ll like FF2R ! We submitted Final Freeway 2R for review to Apple on the 28th and we’re now waiting to go through the approval process. We expect the game to be accepted and to go on sale by the 2nd week of March, which is soon ! I’m personally quite proud of this sequel. Though the initial plan was to reskin the original Final Freeway and add 1-2 major features, it eventually became a lot more than that. Apart from the obvious graphic upgrade, a considerable amount of work went into tuning controls and playability. We also added proper 3D audio, and the sound tracks are all spot on. This is also a good time to remember that the game wouldn’t be the same without the financial support that we received from those individuals that believed in this project and that did support us via appbackr. 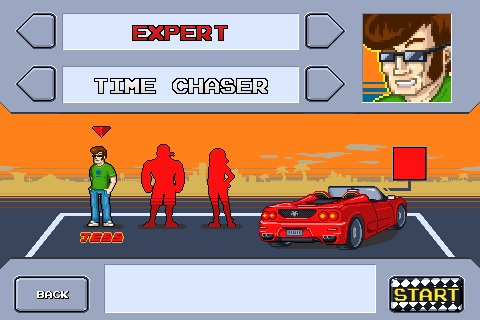 All stages are now complete, we have 2 of the 3 sound tracks and we implemented an antagonist car into the game play. Game Center integration is also complete. Final Freeway 2R ..getting closer! First of all, a special Thanks to all those that have bet on the game so far and a big Thanks to appbackr.com that has made this possible. These finances are really helping the development ! We’re working day and night to complete Final Freeway 2R, and although there is still more work to do, most of the features and most of the art are in. Our hope is that the game will be in great shape for a March release.. so, let’s do it ! 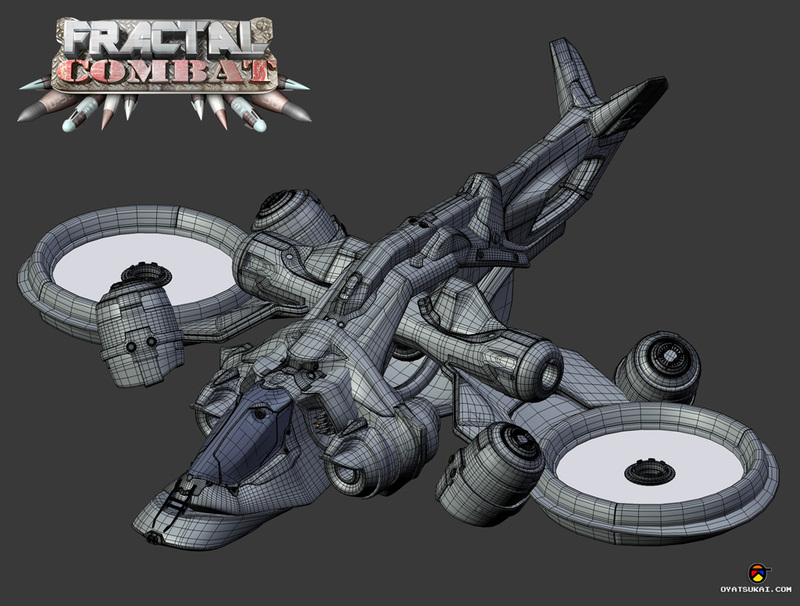 Here are some illustration showing the polygonal models used in Fractal Combat. 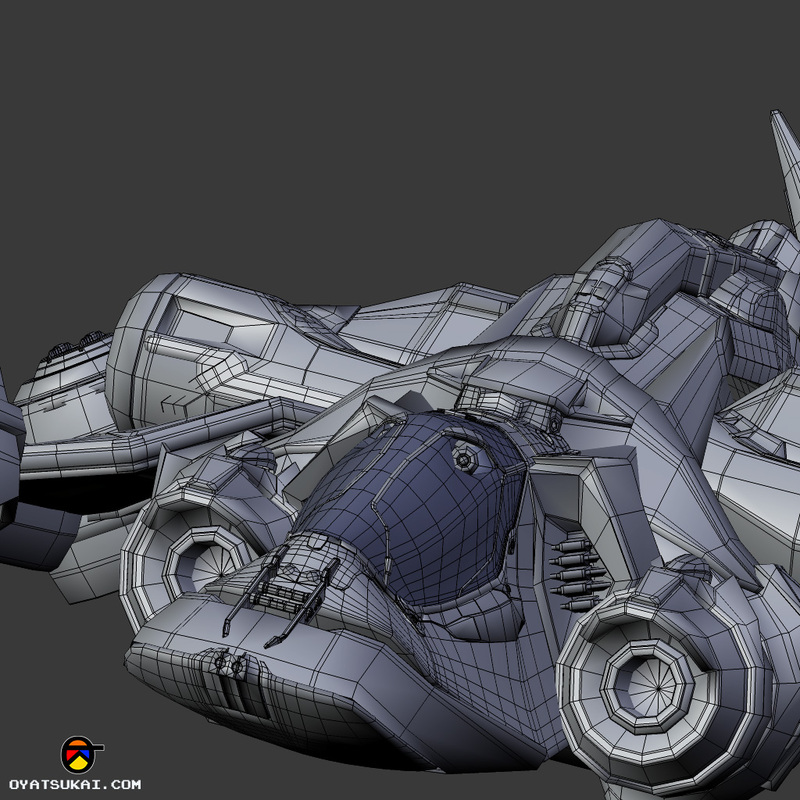 All models were created by Max Puliero, using Blender for modelling. When it comes to technical modeling, Max is definitely the man! 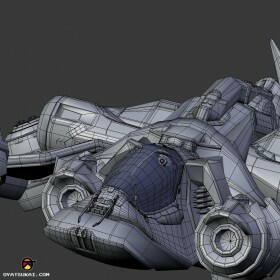 The high polygon models were used for illustration purposes, while the low poly models are of course those used in the game. From the onset, we decided that we’d keep the models’ poly count fairly low. Especially since we knew that we were going to use a lot of geometry for the terrain and for particles and explosion effects. On a hindsight, we could probably have used more polygons for the ships.. but we think it’s still quite good for a mobile game.. and Max really did a great job masking the lack of geometry with well thought out and detailed textures. As we continue the development of Final Freeway 2R, we’ve decided to partner with appbackr to enable anyone to help us with the expenses. It’s been a success so far, with $4,886 raised ! Though we only receive 71% of that beforehand.. but nonetheless a really useful sum to finance many aspects of the development. We’ll keep you posted on more details regarding the development, and a new preview video to be released by the end of the week. It’s in the works. Here is a sample video clip and a couple of screen shots. 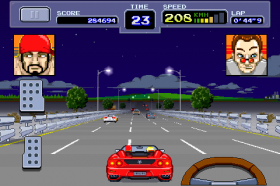 It will add some much requested features such as: car crashes, road splits, multiple endings and selectable characters. It’s only an early preview, so things will change and improve.. but that’s how it looks so far. Fractal Combat 1.1 is out ! More details on the previous post. We’re already working on the 1.2 ! 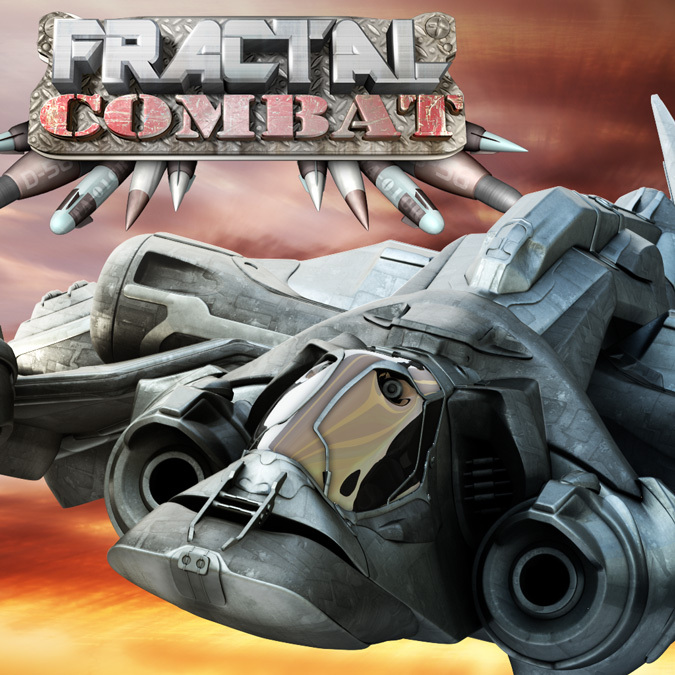 We’ve finally submitted the 1.1 of Fractal Combat to Apple and, with some luck, the update will be out in about a week from now. This is a bigger update than initially planned. We’ve listened to requests and complaints out there and tried to put in the most requested features and fixes. The original 7 bosses (one for each world) have mutated, and there are now 3 mutation for each type of alien, for a total of 21 different baddies! Mutated bosses are faster, more powerful, bigger and, frankly, uglier. The new bosses have individual characters, making them swing between bold frontal attacks and unnerving cat-and-mouse behavior (who’s the mouse ?). 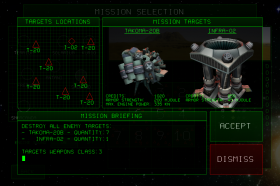 These new bosses are able to launch multiple missiles at once, so they are a lot deadlier, especially in the later missions. 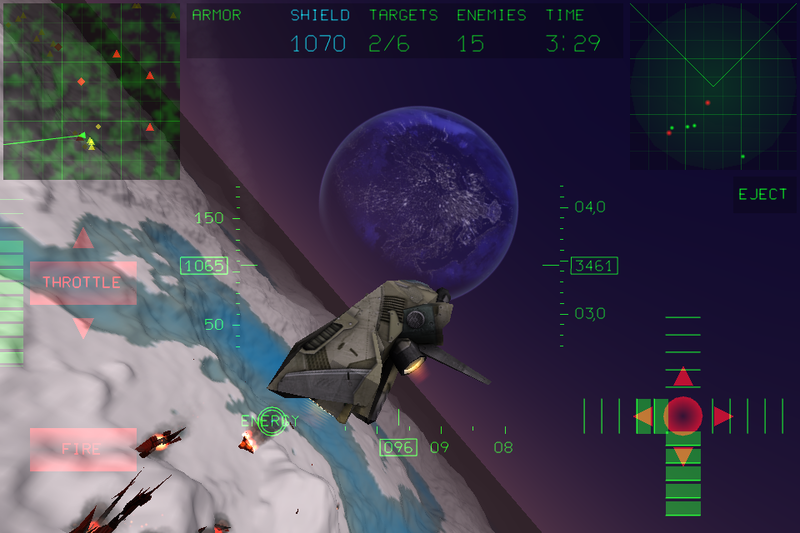 The energy coming from a downed enemy is now automatically attracted to the player ship, up to a certain distance. This makes it easier to replenish the shield (first line of defense against attacks) and it’s especially useful since the game is more intense now. 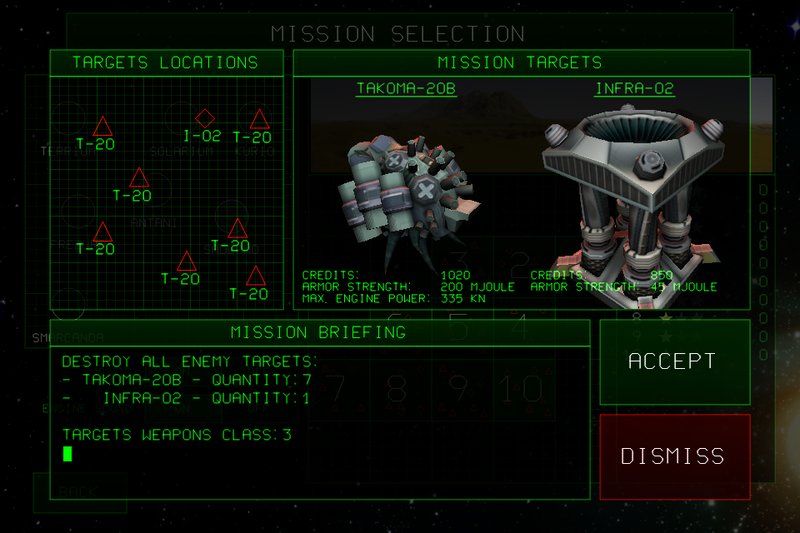 There is also a nicer mission selection screen with a more detailed briefing, better showing the bosses populating a certain area, their strength and the prize for taking them down. 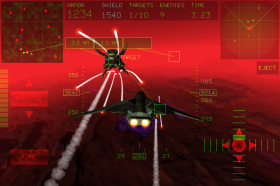 “Flight Practice” allows just that: flying with no purpose, enemies or missiles. Textures for the player ships have been redone. They are now a lot more detailed and somewhat grittier. The sky setting in the worlds has also improved: you can now spot some nearby planets right in the middle of the sky. The result, we think, is a nice improvement to the general look of the game. The controls have been generally much well received! However, the placement of some of the touch buttons wasn’t ideal on the iPad. We tweaked around the placement and size of those buttons and it’s now easier to press them while holding the iPad in a comfortable position. We also reduced some of the trembling noticed by some users when controlling the ship via accelerometer with an iPad. 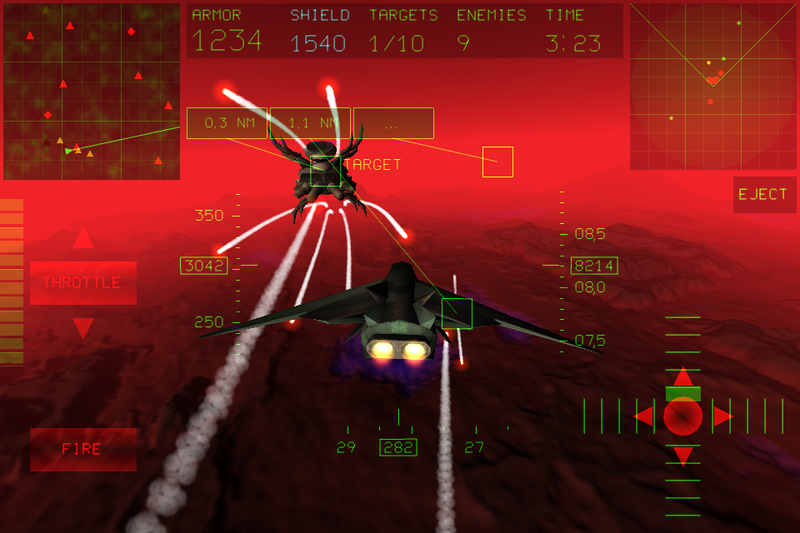 On the display side, only enemy missiles are show in the Radar now. They are red as before but somewhat larger, for improved visibility. So, there is no more confusion on which red dots are good and which are bad. They are all bad, and you should try to shake them! Reduced memory usage (but please, don’t keep too many apps open while playing, especially on iPhone 3GS and iPad 1). We’re already working on a new update that will introduce more interesting features. 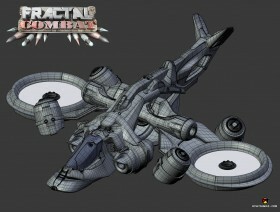 We’re considering: much larger enemy bases, different game modes, more game context, new weapons and ships, new worlds. If you have a feature request or something that you think should be fixed, then please, let us know with comments here, or from the contacts page (use the form or the email). In the meantime, remember that the future of the game relies very much on users’ feedback on the App Store. So, if you like the game, rate the game to let others know, and that will help us to keep the updates coming. Thank you for you support and have fun ! Yes ! Final Freeway is.. finally.. in the category it belongs to. Google has recently introduced the Racing category and we’re produly in there ! This means that FF for Android may finally start selling a decent amount.. and that we may be able to afford more Android development.